Wader Quest: Benthos aka wader food! Benthos: the flora and fauna found on the bottom, or in the bottom sediments, of a sea or lake. Zoobenthos: Zoobenthos comprises the animals belonging to the benthos. Phytobentos: Phytobenthos comprises the plants belonging to the benthos. Macrobenthos: Visible organisms of a length greater than 1mm. Includes polychaete worms (worms with bristles like lugworms etc. ), bivalves (seashells with two halves like cockles, oysters, clams and mussels), echinoderms (star fish, sea urchins etc. ), sea anenomes, corals, sponges, sea squirts, turbellarians (flatworms), crabs, lobsters and cumaceans (comma shrimps). Microbenthos: Organisms under 0.1mm in size. Includes bacteria, diatoms (algae), ciliates, amoeba and flagellates. 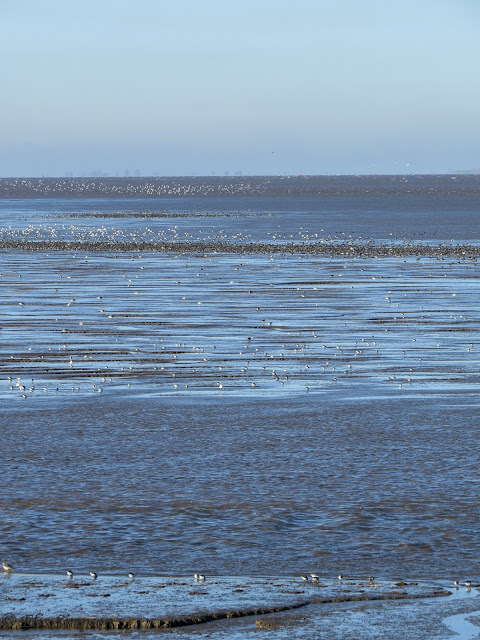 Wader bills have developed to take advantage of all forms of benthos as prey. Long bills that penetrate the mud such as those of godwits will search for endobenthic organisms. Species feeding in this way will be doing so without the benefit of sight so their bills are sensitive to touch and pressure with nerve endings known as Herbst corpuscles which can detect the difference in pressure produced by a solid object in the wet mud. Many species feeding in this way will have rhynchokinetic bills which enables the upper mandible to be bent to allow the bird to strike and capture prey. This ability to forage blind means they are equally able to forage at night as they are during the day. Black-tailed Godwit foraging for endobenthic prey. 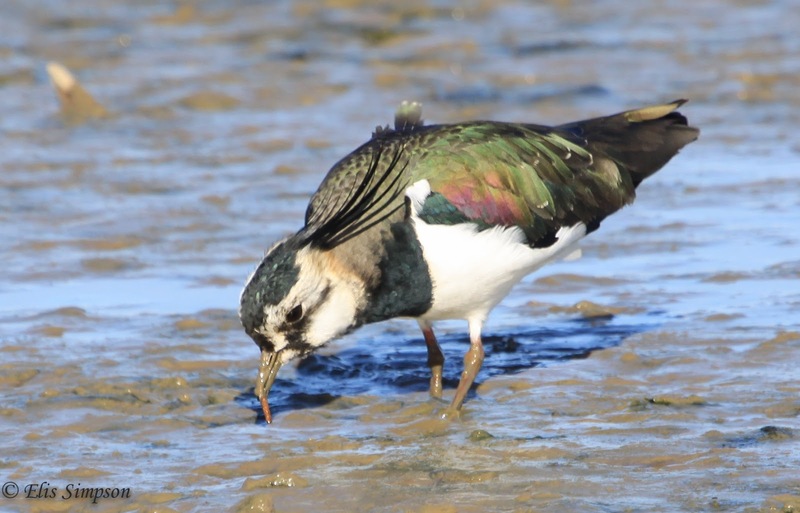 Short bills such as those of the plovers will be taking mostly epibenthos and some endobenthos organisms that live near or just under the surface as they forage primarily by sight. This would obviously suggest that feeding at night would be a disadvantage. It is for this reason that plovers have such proportionally large eyes to maximise light gathering to facilitate night foraging. There is also a school of thought that suggests they may also be able to forage aurally which would also not be affected by the light level. Northern Lapwing picking epibenthic prey from the surface of the mud. 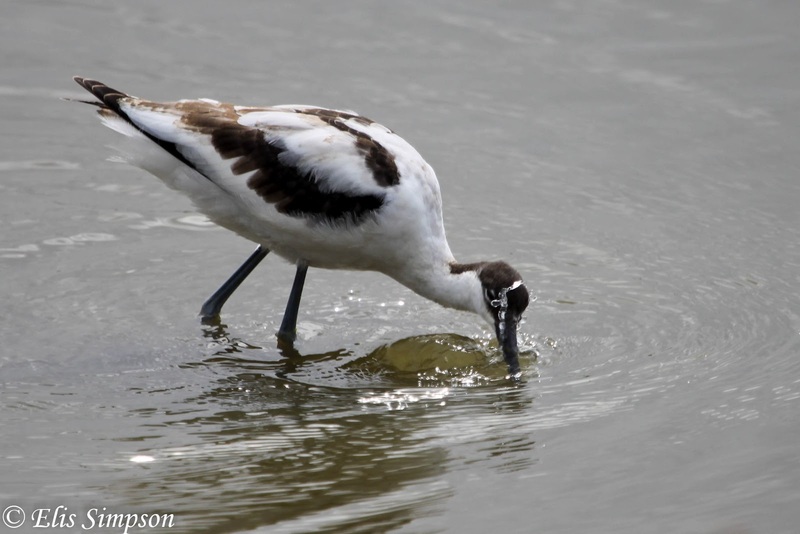 The more delicate recurved sweeping bills of avocets will be seeking epibenthic prey on the surface of the mud and hyperbenthic organisms that are suspended in the water. Pied Avocet sweeps the surface of the substrate foraging for epibenthos and hyperbenthos. 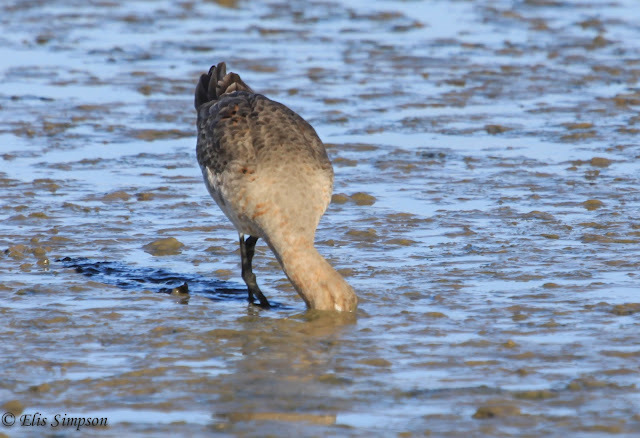 Some medium length billed birds, such as Red Knot may employ both methods of feeding - mainly tactile on the wintering grounds where it forages for endobenthos and mainly visual on the breeding grounds where it forages for non benthic creatures away from the benthic zone - with sensitive bills for tactile feeding and forward facing vision for visual feeding. Red Knots will use tactile and visual foraging methods. Remember, mud is not just mud, it is a community of organisms, collectively known as benthos, which waders depend upon to survive. Love your mud - they do!